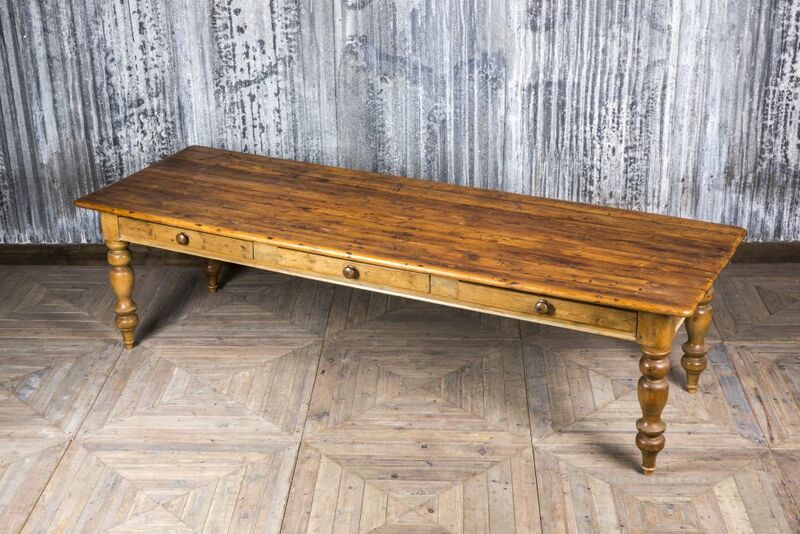 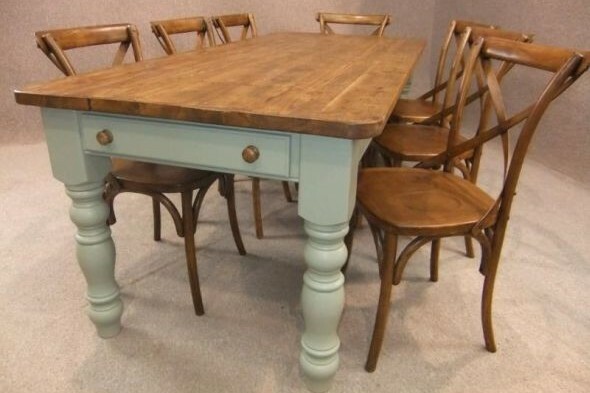 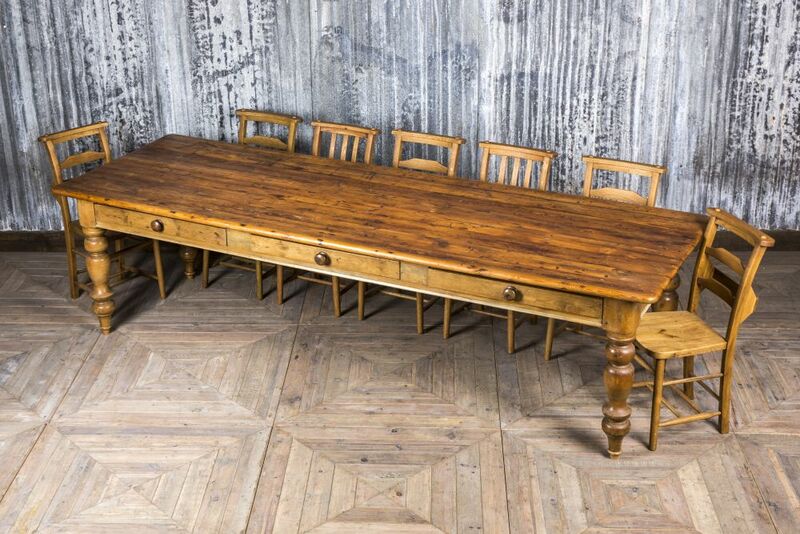 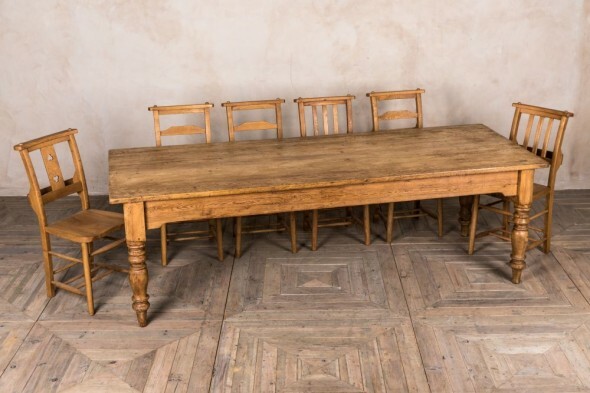 This stunning antique pine dining table is a must-have for a country house or period property. 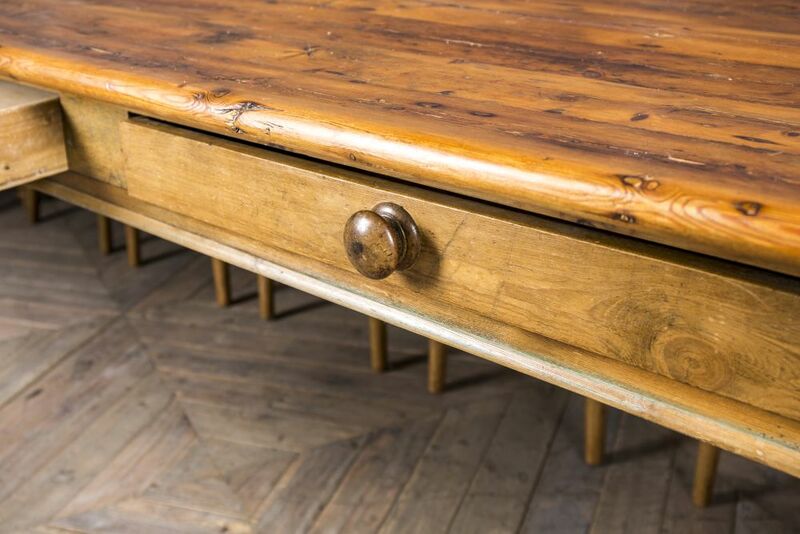 It is a Victorian table that has been lovingly restored to its former glory and would grace any traditional style interior. 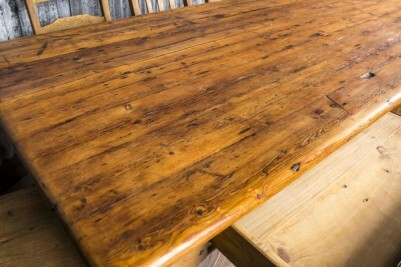 The pine is a golden colour, which would add warmth to a kitchen or dining room. 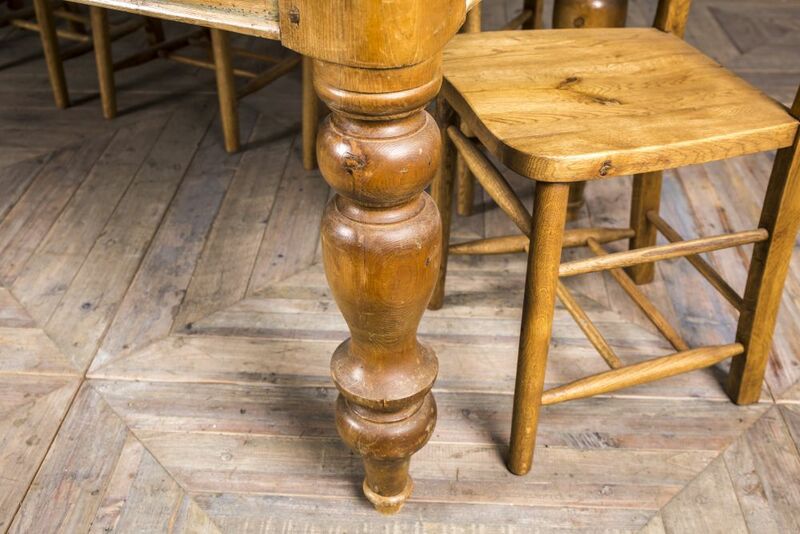 It features turned legs, which are typical of the Victorian era. 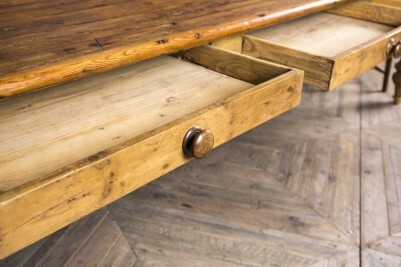 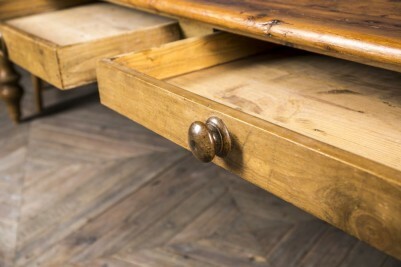 Three drawers have been built into the table and are an ideal place for storing cutlery, table mats and tablecloths. 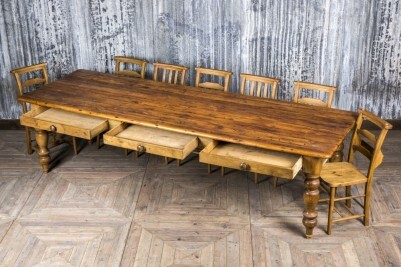 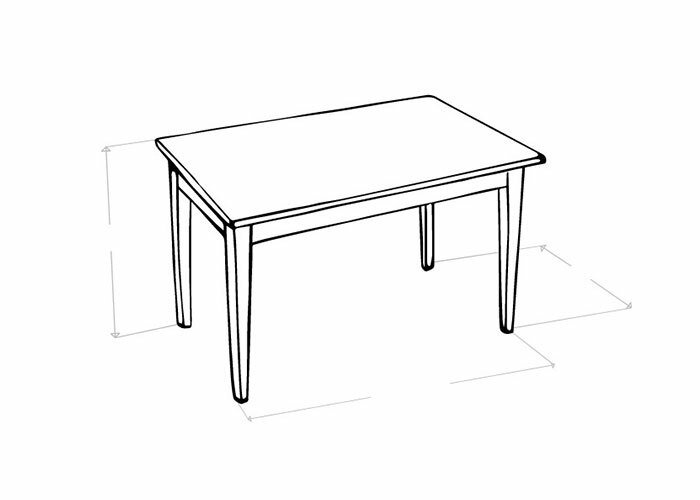 A large table, it could comfortably seat up to 12 people depending on the size of the chairs. 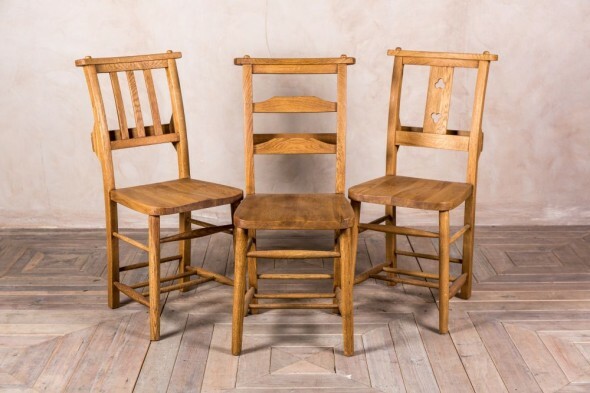 It is pictured with our reproduction oak chapel chairs, which are in keeping with the style; it would look equally good with comfortable leather or upholstered chairs. 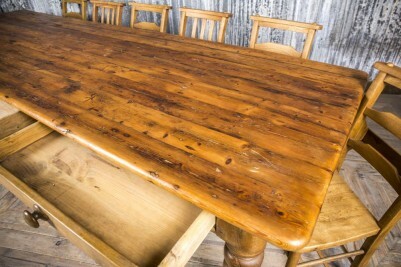 As this table is an antique item of over 100 years old it will show some signs of wear and tear. 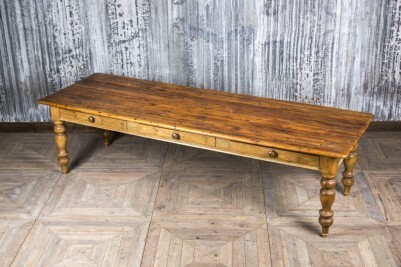 We feel that this only enhances it homely charm.